Couples come to me for coaching looking for an answer for how to stop arguing. They each tell me their side, and I check to make sure they’re both being heard. But sometimes the only solution is to agree to disagree. The objective for any argument should be to find a better way to coexist harmoniously. What gets in the way is our perception. No two brains perceive things the same way, not even in identical twins. So you and I could look at the exact same thing but see it completely differently. There’s no right or wrong; it’s just your perception. So sometimes in a relationship, you’ll have a disagreement about something you simply perceive differently. If you reach an impasse on an issue, check to make sure each of you truly understands the other’s point of view. Say, “What I hear you saying is …” (put it into your own words), and then ask, “Is that what you meant?” I think you’ll find that frequently the thing you heard was not what she meant, and you can clear up the misunderstanding right then. If you comprehend each other but still prefer it your own way, then agree to disagree. That means finding a way to comfortably live with the situation. If you can’t, it has to be a relationship deal-breaker. 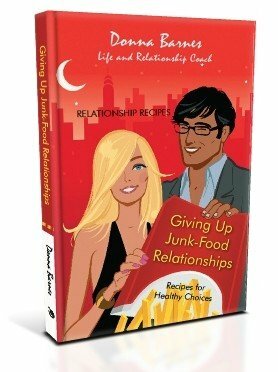 Read more about how to communicate effectively to create a happy lasting relationship in my book Giving Up Junk-Food Relationships.